2014 Kuberg Free-Rider. Picture credits - Kuberg. Submit more pictures. 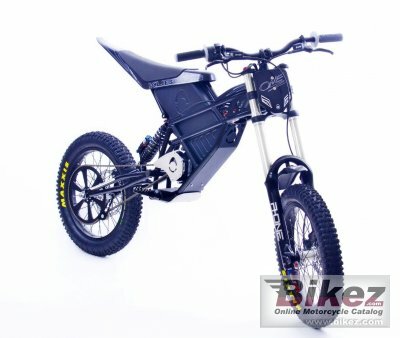 KUBERG FREE-RIDER is one of the most versatile electric bikes ever on the market. It is primarily built for teenagers but adults can ride on it and have a plenty of fun on it as well. It has incredible features. It is lightweight, excitingly powerful, fast, easy to ride, it has fully adjustable long travel suspension and it is very affordable. It is the fun bike of your dreams. Comments: 2 hour charging time. Intended for children. Range up to 1-2 hours. 15 Ah Lithium Polymer batteries. Ask questions Join the 14 Kuberg Free-Rider discussion group or the general Kuberg discussion group.